Increase your roulette IQ with this glossary of common and uncommon roulette and gambling terms. Use this glossary as a reference and a guide in your future gambling and you will see that it will prove invaluable from the start. Roulette has been one of the most popular casino games played by thousands from USA to Japan, and from the lowest to the highest social class. Casinos everywhere are spinning roulette wheels to entertain their esteemed guests as the highest form of casino gambling. Listed below are terms used in roulette along with short and easy to understand definitions that may clarify some aspects in the game. You may hear these terms in English speaking land-based casinos or online in the gambling community. Familiarize yourself closely and become a better player. American Roulette: this roulette variation consists of a roulette wheel that instead of 37 slots (0 plus 36 numbers) like standard roulette, it has 38 numbers that go from 0 to 36 with the addition of a double zero (00) slot, thus increasing the house edge. More information on American Roulette here. Backtrack: or often called ball track is the rim of the roulette wheel located on the outer side. This is the part where the ball rolls while the wheel spins. Biased Numbers: roulette outcomes that result with the same numbers over and over again on wheels that are called biased wheels. 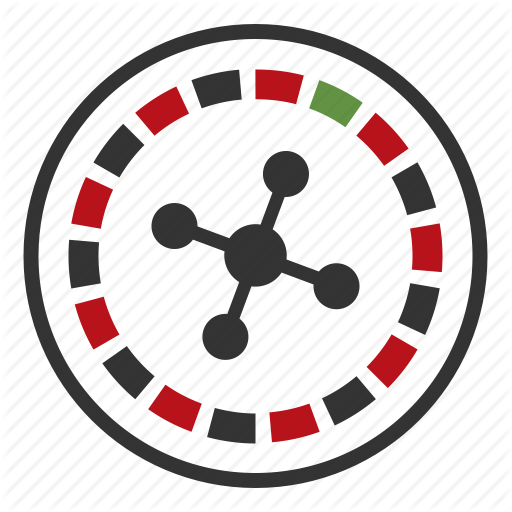 Biased Wheel: this is a defective roulette wheel that has defective probabilities giving out same numbers more frequently than it should. Big Number: an indication for a biased number when a number comes out more often than the probability would allow. Black Bet: betting that the outcome will be a number with black color. Block Betting: betting on a specific set of numbers as part of a strategy. Bottom Track: this is the area inside the wheel that is slanted towards the numbers shaped bit like a cone, from which the ball bounces before settling in a slot. Call Bets: these bets are common for European and French roulette. There are five types of call bets: Orphans split, Full Orphans, Tiers du Cylindre, Voisins du Zero (neighbors of zero), and Voisins du Nombre (number neighbors). Carre: French for ‘corner bet’. Chameleon Strategy: when a player tries to imitate the betting pattern of another player in order to repeat his success is called a ‘chameleon strategy’. Chasing Loses: when someone tells you “not to chase your losses” he means that you are increasing your bets in order to get back the money that you have gambled away. This is the worst recuperation a player could make, because he ends up losing more. Cheval: French word for ‘split bet’. Chip Tray: the place where the chips are held on the table. Column Bet: when a player bets on one of three columns consisted of different sets of numbers. Corner Bet: when a player places a chip on the corner of four numbers on the roulette table, he is making a corner bet by betting on all four numbers. Croupier: the same as a dealer that operates a card table, only that the croupier is responsible for running the roulette table. Dozen Bet: in roulette there are three groups of dozen numbers each, from 1 to 12, from 13-24 and from 25 to 36. Betting on any of these groups is called a ‘dozen bet’. En Plain: French for straight bet. En Prison Rule: a rule mostly available in European roulette when an outside bet has been made. If during the bet the ball falls in 0, the player is returned half of his bet, while the ball is held for another spin. This additional spin is with a considerably lower edge. European Roulette: this is a roulette variation with a wheel consisting of the standard numbers from 0 to 36, without the double zero found in American roulette. European roulette has considerably lower house edge because of this. More information on European Roulette here. Even Bet: betting that the outcome will be an even number. Fibonacci Betting System: a popular system for placing bets based on a progressive numbers combination. Five Number Bet: also known as Top Line Bet and it is a bet where you play five different numbers at the same time: 0, 00, 1, 2 and 3. As you can notice it is played in American roulette. French Roulette: a roulette variation with the same wheel as in European roulette, only with slight differences in other aspects. More information on French Roulette here. House Edge: this is a small percentage of advantage on every game that the house has, from which its profit comes. The rest theoretically returns to the player on the long-term. High Bet: a bet placed on any of the numbers between 19 and 36. The opposite is Low Bet. Inside Bet: a bet placed on the numbers on the inner area of the bet layout. The odds for winning on these bets are higher. There are eight different types of inside bets: straight, split, street, corner, six line, trio, basket (for single zero and double zero wheels), and top line. La Partage Rule: mainly used in European roulette and is very similar to the En Prison Rule. Here if the outcome is zero for a bet placed on outside even money bets, half of your bet is taken but you are not offered a chance to make another spin. Line Bet: betting on six neighboring numbers. Low Bet: the opposite of high bet, low bet is when a player bets on any of the numbers between 1 and 18. Manque: French for Low Bet. Martingale System: a popular betting system where the player doubles his bet at each loss, hoping that with the next win he will recover all of his losses. This system is very risky however, because the player always ends up losing plenty. Neighbor Bet: betting on five numbers that are next to each other on the roulette wheel with the middle number as the main. Odd Bet: betting that the outcome will be an odd number. Orphans: a popular bet across casinos in Europe. It is when a player selects three numbers to bet on. These numbers are next to close to each other on the wheel, but far apart on the table layout where the bets are placed. Outside Bets: these bets are arranged on the outer area of the table layout and usually involve bets that pay even money such as Low, High, Red or Black, Even or Odd, Dozen, Column and Snake bets. Pair ou Impair: French for Even/Odd bet. Parley: leaving the winnings of the previous bet for the next bet. Passe: French for High Bet. Payout: the winnings that the player receives from the casino are called payout. Racetrack Bets: another term for call bets. Rapid Roulette: this is a modern electronic roulette available in land-based casinos where essentially every player has his own display of the roulette wheel and they play on their own individual screen. Red Bet: betting that the outcome of the spin will be a red number. Reverse Martingale Betting System: this is the reverse process of betting with the Martingale system, instead of doubling upon each loss, the player doubles his bet upon each win. Rouge ou Noir: French for Red/Black Bet. Single Number Bet: placing a bet on a specific single number. The same as Straight Bet. Six Number Bet: also known as Six Line Bet or Double Street Bet is when a player places a bet on six numbers at one time. Sixainne: French for Six Number Bet. Snake Bet: a special dozen bet also known as the sucker bet. Split Bet: when a player places his chip on the border between two numbers indicating that he wants to bet on those two specific numbers at the same time. Square Bet: the same as corner bet, betting on four numbers at the same time. Straight Bet: placing a bet on a single specific number. This bet has a higher payout than outside bets. Street Bet: betting on three numbers at the same time. Table Layout: the layout of all the bets on the table where you can place your chips. Tiers Du Cylinder: French for betting on a group of numbers that are found close to each other on the table layout. Top Line Bet: see Five Number Bet. Transversale: French for Street Bet. Trio: betting on the point of intersection between zero, two and three or zero, one and two. This bet is mostly made on a single zero wheels. Voisins du Zero: French for placing a bet on a group of numbers that are close to zero on the roulette wheel. Wheel Clocking: a method used to keep track of all the outcomes of the wheel to see if it is a biased wheel in hope that the outcomes can later be predicted. Wheel Head: the part of the roulette wheel with numbered slots where the ball falls.